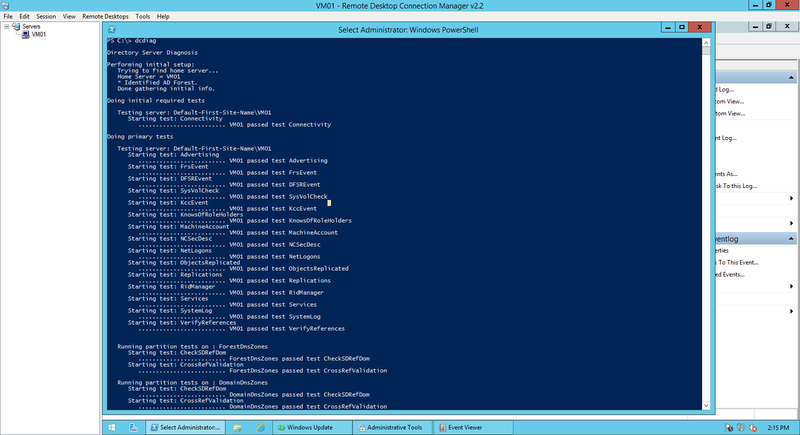 Configuring a Single Windows Server 2012 R2 Active Directory Domain Controller in a new Forest. | Chinny Chukwudozie, Cloud Solutions. 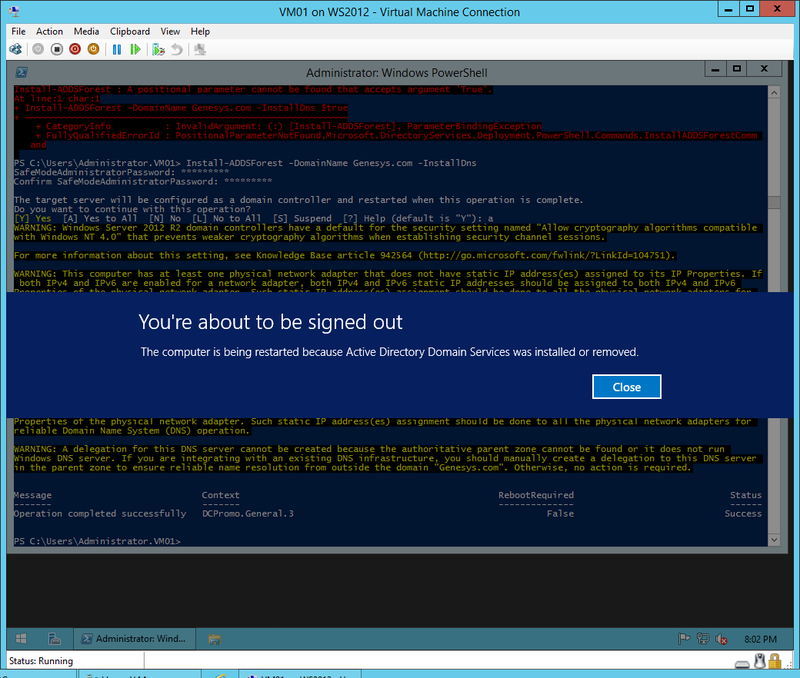 ← Deploying a Windows Server 2012 R2 Domain Controller in an existing Win2003 Functional Level Domain. 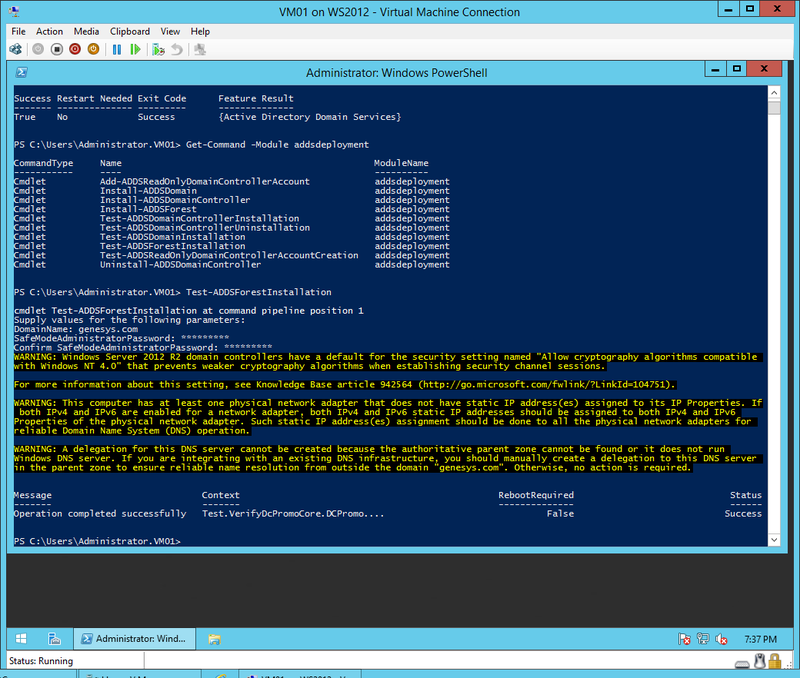 Configuring a Single Windows Server 2012 R2 Active Directory Domain Controller in a new Forest. 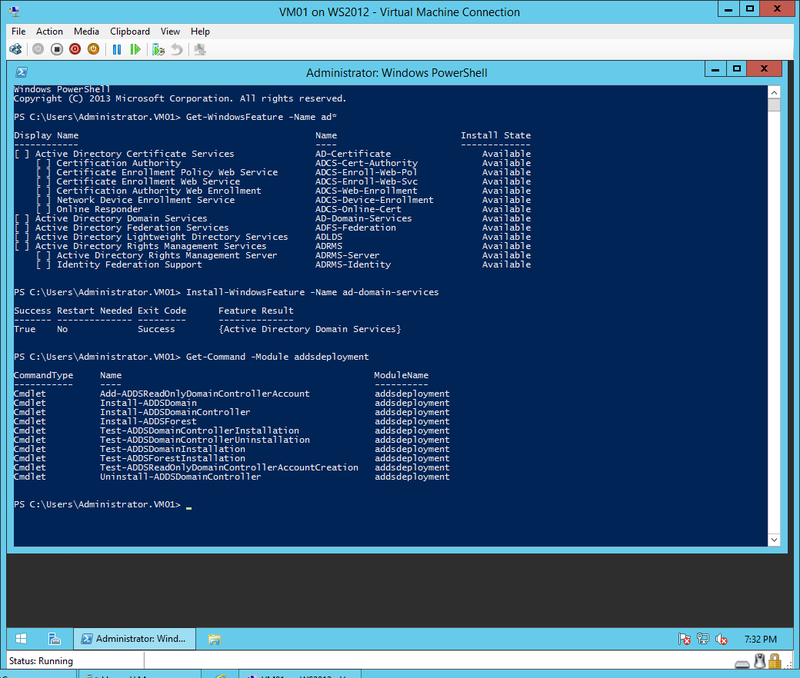 Pre-Windows Server 2012 and PowerShell 4.0, the primary tool/command for Active Directory Domain Controller promotion and demotion has always been the Dcpromo command. With Windows Server 2012, it’s been replaced by a suite of PowerShell cmdlets contained in the ADDSDeployment module. After the restart, I verified that AD is fully installed with DNS fully configured. 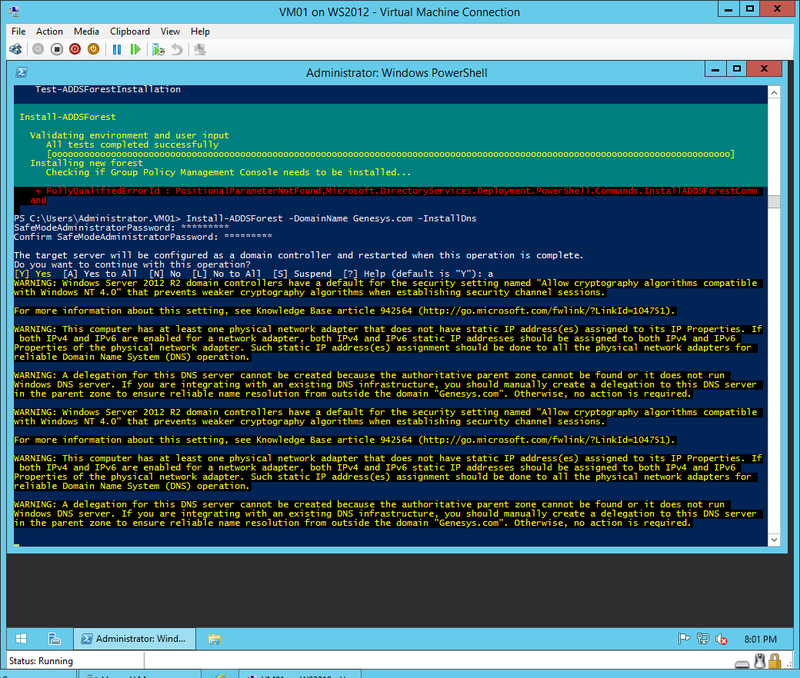 The Domain diagnostics test showed no errors and the Get-ADRootDSE indicates this is a Windows2012R2 domain controller running in a Windows2012R2 domain and forest functional level. This entry was posted in Active Directory, Active Directory Domain Services, AD Forest, PowerShell, PowerShell 3.0, Powershell 4.0, Windows Server 2012, Windows Server 2012 R2 and tagged Domain controller, Domainname, PowerShell, Server, Windows PowerShell, Windows Server 2012. Bookmark the permalink.